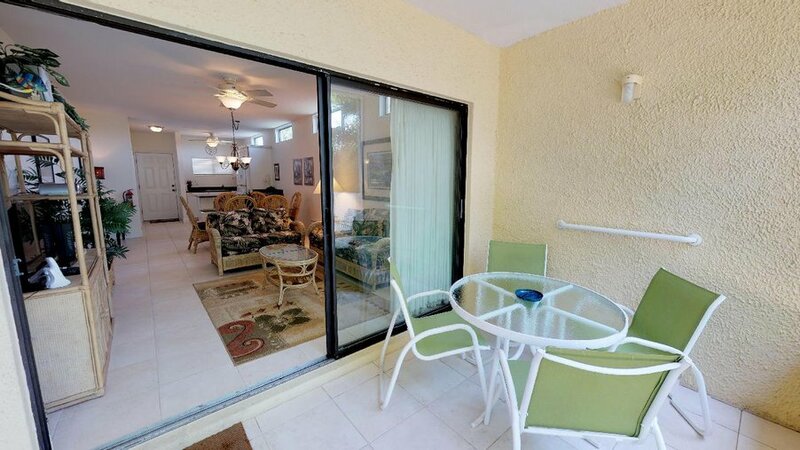 #1 – Ground Floor, 2 bedroom, 2 bath, Garden B location. 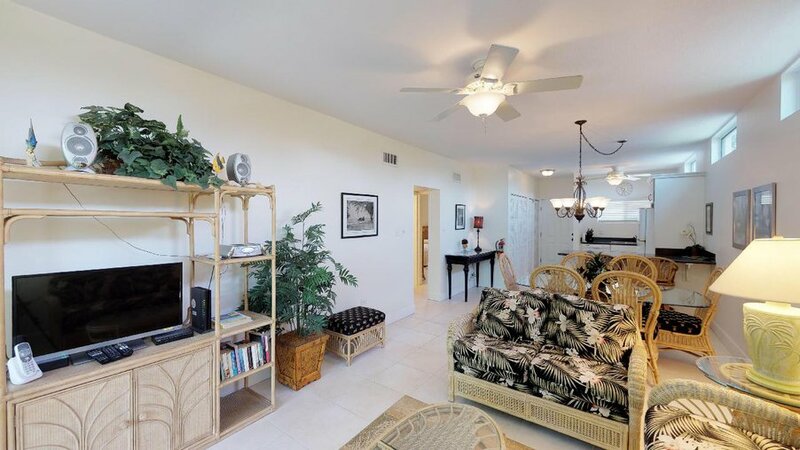 Casual Elegance is this condo’s theme blended beautifully with the feeling of our tropical paradise. 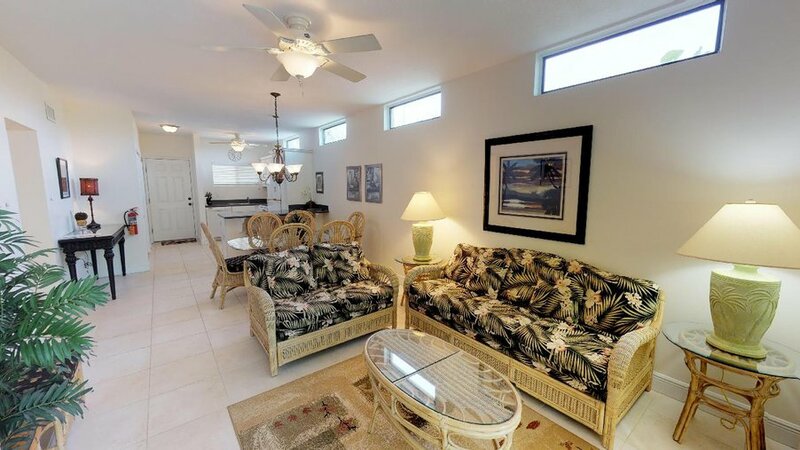 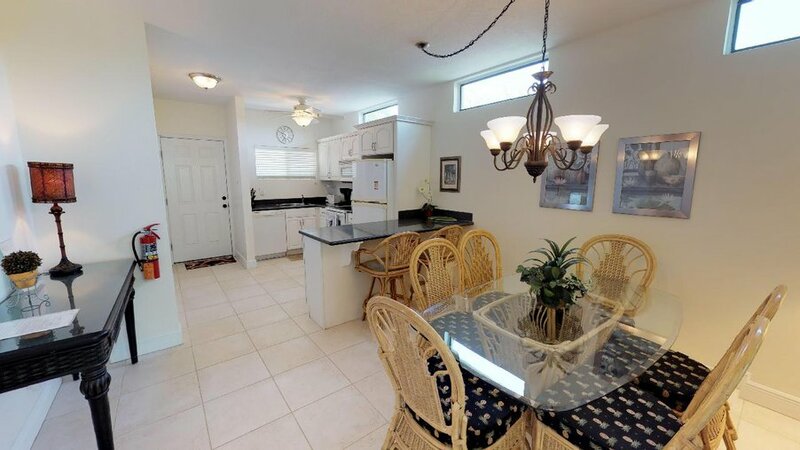 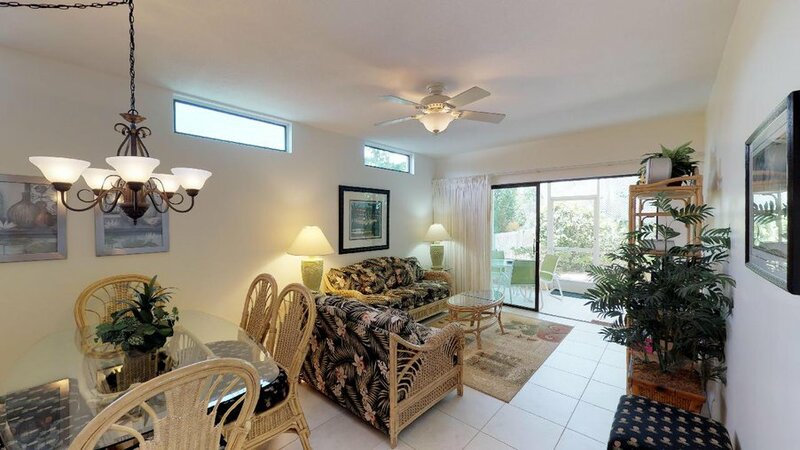 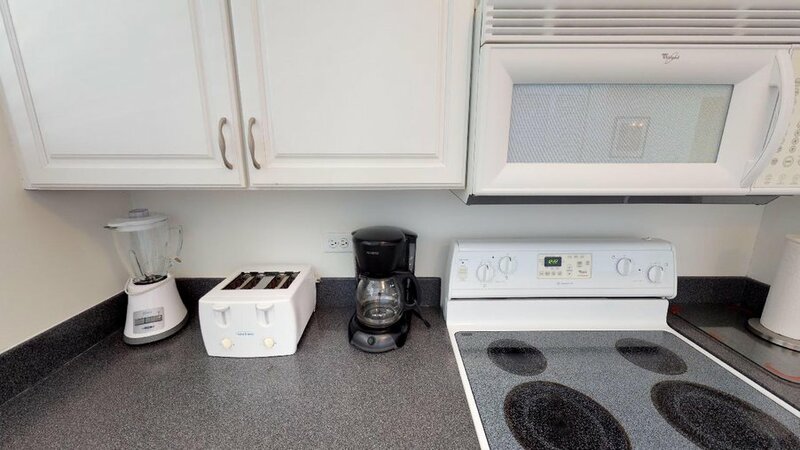 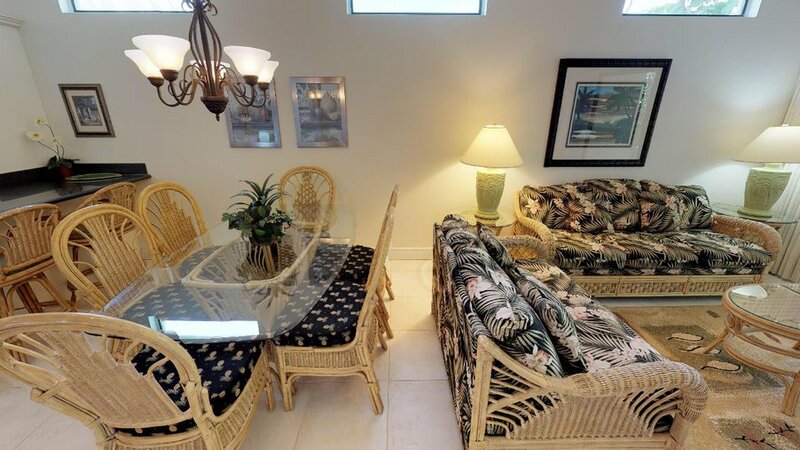 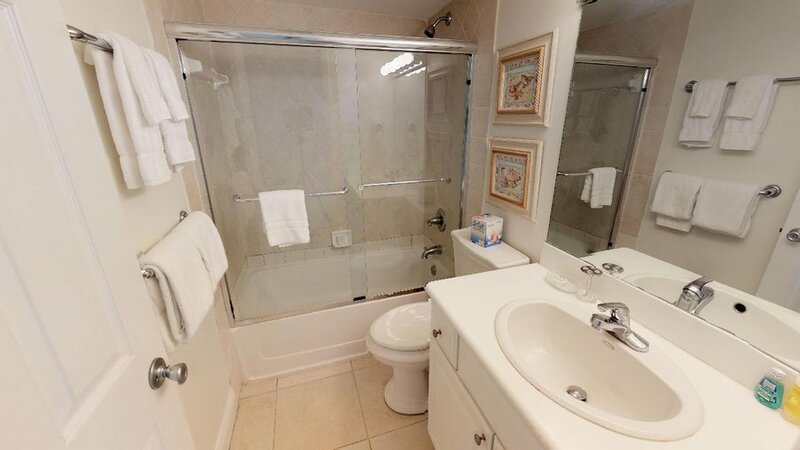 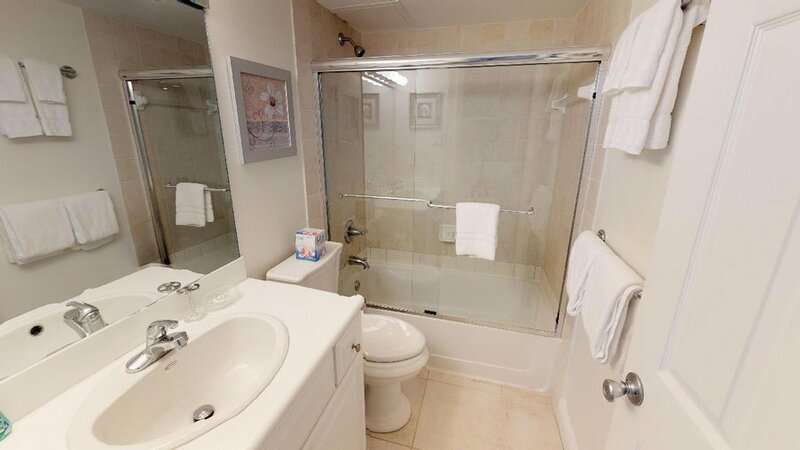 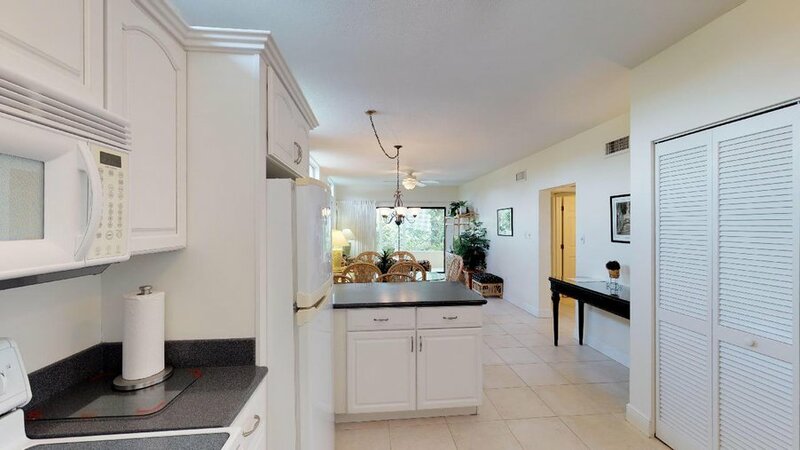 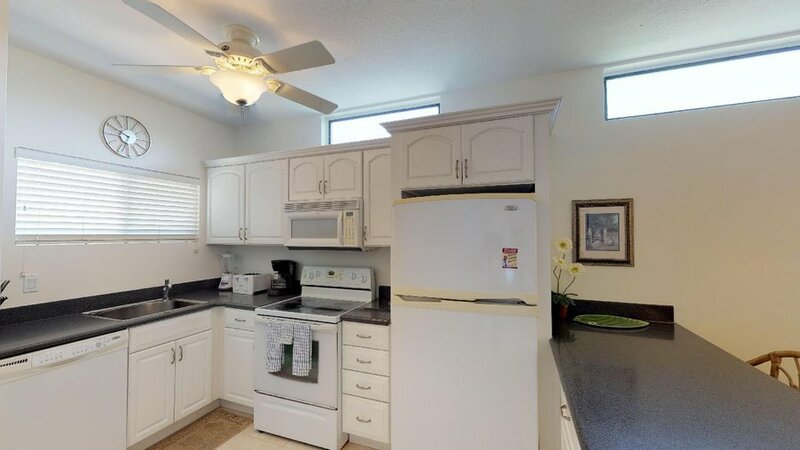 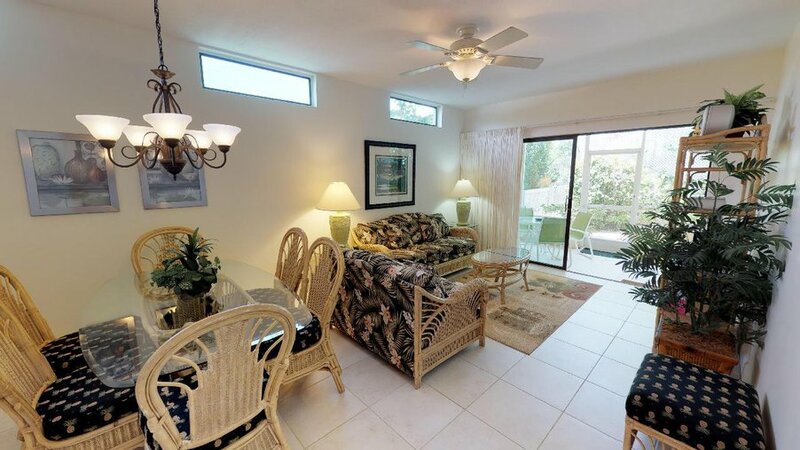 This condo is home, complete with a fully equipped kitchen, living room, dining room, and screened patio. 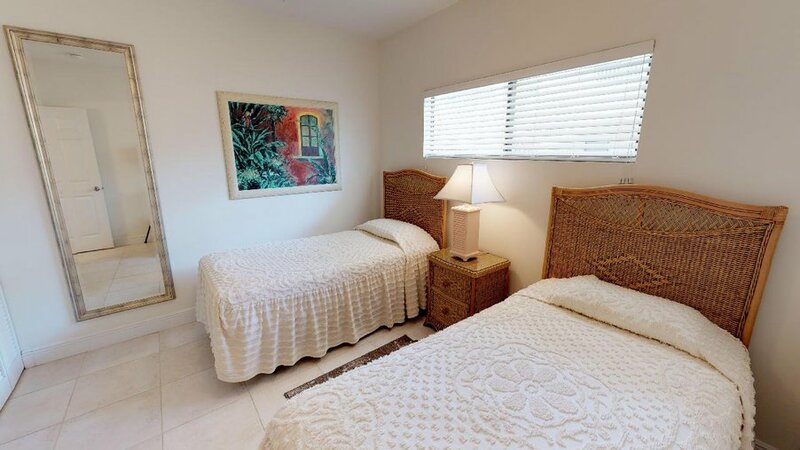 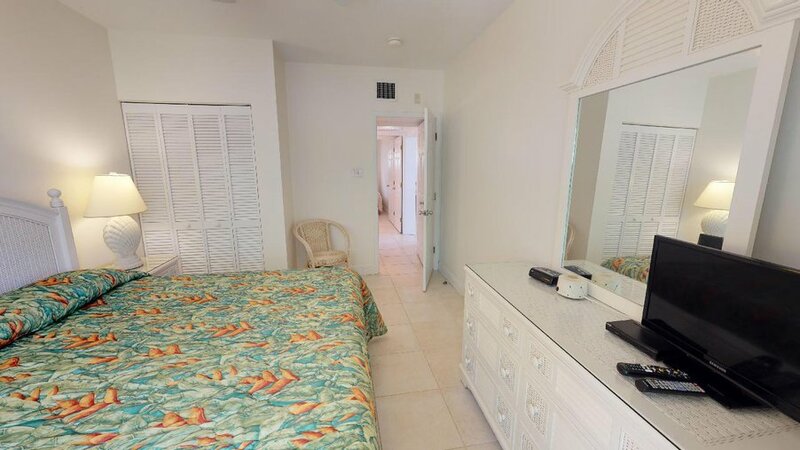 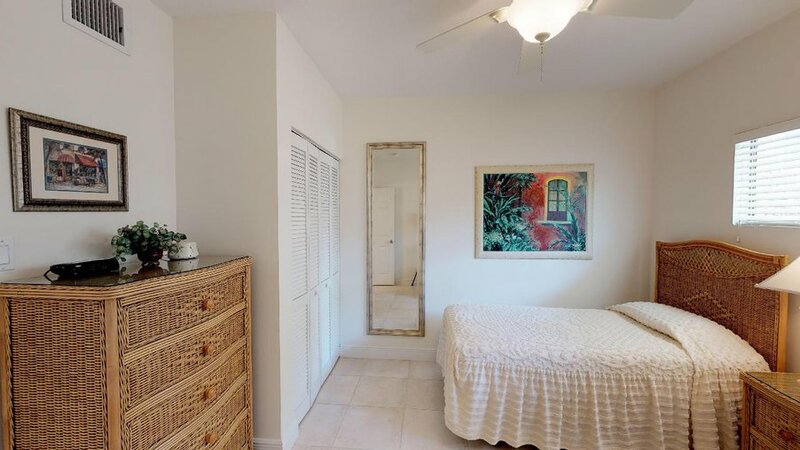 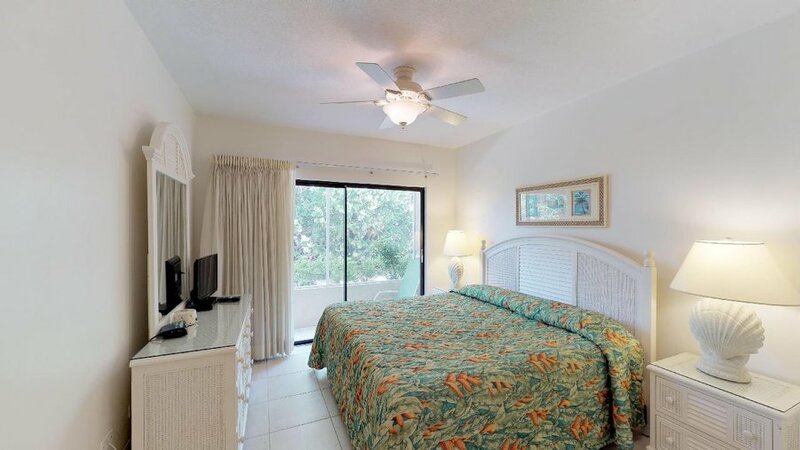 The master bedroom has a king size bed, and the 2nd bedroom is furnished with twin beds. 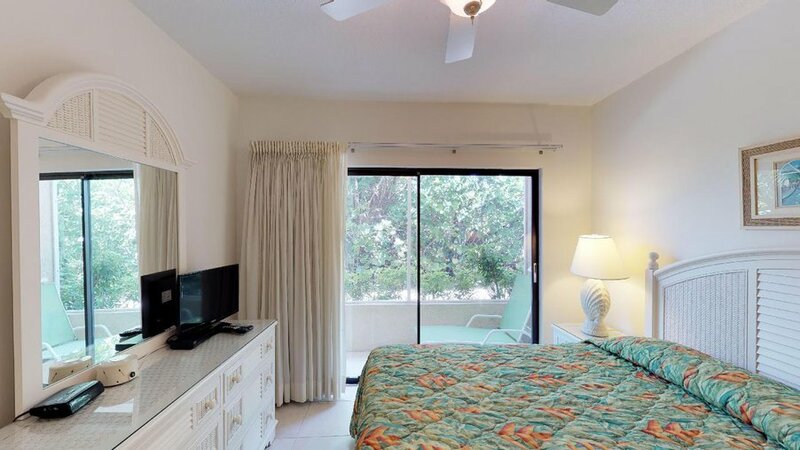 Living room and master bedroom both have flat screen televisions. 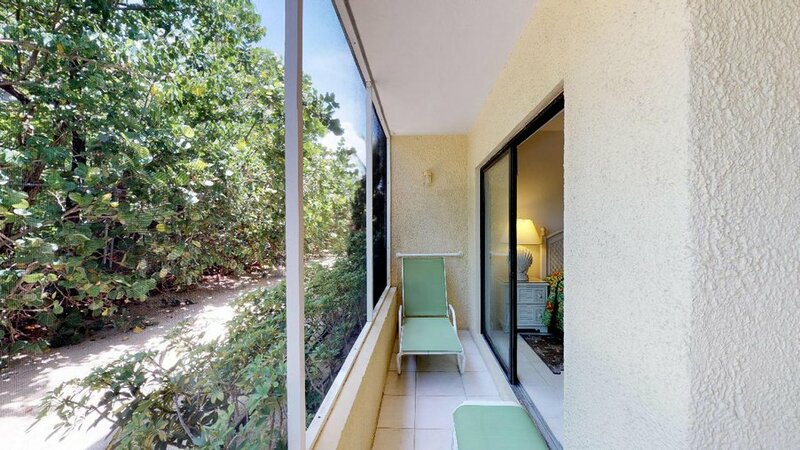 The private, screened patio is nestled in a small garden surrounded by a hedge of island shrubberies and trees.